Ready to learn more about soap making, starting your own business, natural skin care or cleaning your home naturally? 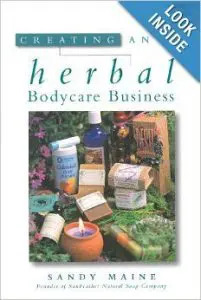 Visit Sandy Maine’s Amazon Page to purchase soap making books or read more below. keeping accounts and records organized, design print and on-line marketing materials, employ staff, and much more. She also features profiles of successful entrepreneurs in many areas, including aromatherapy and herbal bodycare. Fire Light, Forest Garden, Gentlemen Farmer, Lemon Verbena, Oat and Wheat Bran–this is but a sampling of the thirty wonderful recipes you’ll find in this guide to making soap. History, chemistry, equipment, plants, and oils–everything you need to know to create your own all-natural, handcrafted, herbal, aromatherapy, and floral soaps. Like a breath of fresh air, this guide to home and personal care embraces the cleaning ritual as a necessary part of daily life and offers tips on how to make it remarkably stress-free and even enjoyable. Harsh chemical cleaners, artificial scents, and allergy-inducing additives can be replaced with the pure, gentle, and wholesome cleaning products in this handbook. In a world where environmental sensitivities are on the rise and time to complete basic tasks seems to slip away, the efficient recipes and methods in this book come as a welcome surprise. By eliminating unnecessary cleaning products from the home, under-the-counter clutter is greatly reduced, allergies and sensitivities are easily addressed, and favorite scents and textures become a part of the calming and fulfilling ritual of keeping things clean. Easy steps for making curative and healing soaps using household ingredients. 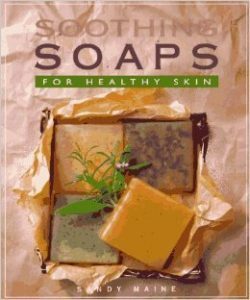 This book gives readers all the easy steps for making soaps that help to heal our bodies as they comfort our minds. 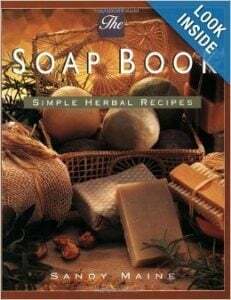 Recipes include antiseptic soaps; poison ivy soaps; soaps for acne; soaps for helping to heal measles, chicken pox, and bruises; and a collection of emollient healing soaps. It is possible to thoroughly clean a house, do the laundry, wash the dishes, and even take care of the pets without resorting to chemical-based cleaners. 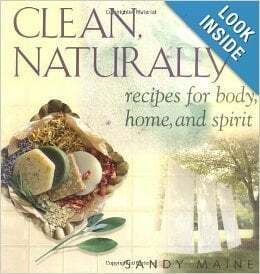 This book’s easy-to-make recipes for everything from detergent and dish soaps to bathroom cleaners and pet shampoos help readers avoid using unnecessary chemicals and encourage them to bring a natural touch to everyday chores. 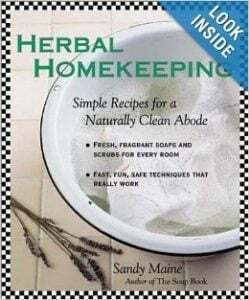 With advice on family cooperation and helpful cleaning strategies, this book makes natural housekeeping a project that the whole family may appreciate. Special formulas for yard spray and insect repellent are EPA approved as safe and effective.